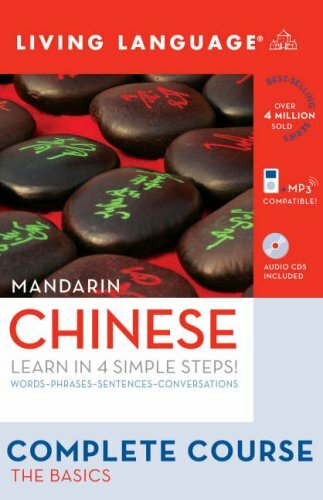 With Living Language Complete Chinese: The Basics, you’ll start by learning words, and then you’ll progress to phrases, sentences, and conversations. This simple four-step building block approach will have you speaking with confidence right from the beginning, and you’ll be able to learn gradually and effectively. Best of all, this comprehensive course includes everything you need — pronunciation, vocabulary, grammar, culture, and practice — and it’s designed to be effective in a short period of time. So what are you waiting for? With Living Language, you’re just a few simple steps away from speaking Chinese! Plus, you can save $5 with publisher mail-in rebate!